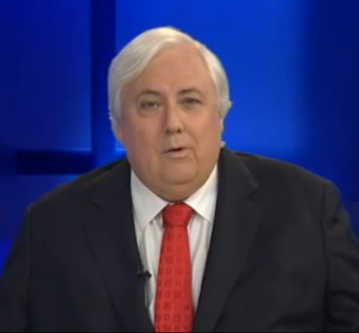 Australian mining tycoon Clive Palmer is threating to sue the Sydney Morning Herald, one of the most respected daily newspapers in Down Under, for $50 million over "totally false and improper claims" about his China First coal mine. The SMH reported last week Swiss energy provider Vitol had cancelled a $40 billion coal supply contract with China First. "The setback highlights the contrast between Mr. Palmer's fondness for bold statements and the results he achieves," it said. “We believe these allegations were made for an improper purpose and my companies intend to proceed against the Sydney Morning Herald and the journalists concerned and seek $50 million in damages,” he was quoted as saying by Adelaide Now.